Disney Channel is airing their 100th original film, a remake of Adventures in Babysitting, and to celebrate, they’re showing every one of their original movies! Preview Adventures in Babysitting and see the full schedule for the Disney Channel Original Movie Marathon! No disrespect to the current generation of youngsters, but the late 1990s/early 2000s was the height of Disney Channel awesomeness! Just think about it… during that time period, Disney Channel had fantastic TV shows like Lizzie McGuire, Even Stevens, That’s So Raven, Proud Family, and Kim Possible. The music was always hot with the Disney Channel in Concert! In fact, I first fell in love with *NSYNC during their July 18, 1998 Disney Channel concert and my fandom life has *never* been the same since (yes, I remember the exact date… it was a Saturday 😉 ) Other musicians like Ray J and Brandy, LeAnn Rimes, and 98 Degrees also performed on the show. And of course, I would be remiss if I didn’t talk about the slew of AMAZEBALLS original films like the High School Musicals, The Cheetah Girls, Zenon: Girl of the 21st Century, Johnny Tsunami, Wendy Wu: Homecoming Warrior, and much more! Adventures in Babysitting unfolds when Jenny Parker (Sabrina Carpenter) and Lola Perez (Sofia Carson), two teen girls with distinctly different personalities, each interview for a coveted photography internship and accidentally swap phones. When the Anderson family calls Jenny’s phone looking for a last-minute babysitter, audacious Lola, in need of some extra cash, picks up and nominates herself. Meanwhile, dependable Jenny is already set to babysit the Cooper family for the evening. Unfortunately, Lola’s first attempt at babysitting takes an unforeseen turn when one of the Anderson kids sneaks out to go to a concert. Jenny, determined to protect her reputation, and Lola with the remaining kids in tow, head out and have the adventure of a lifetime during one magical night in the big city. 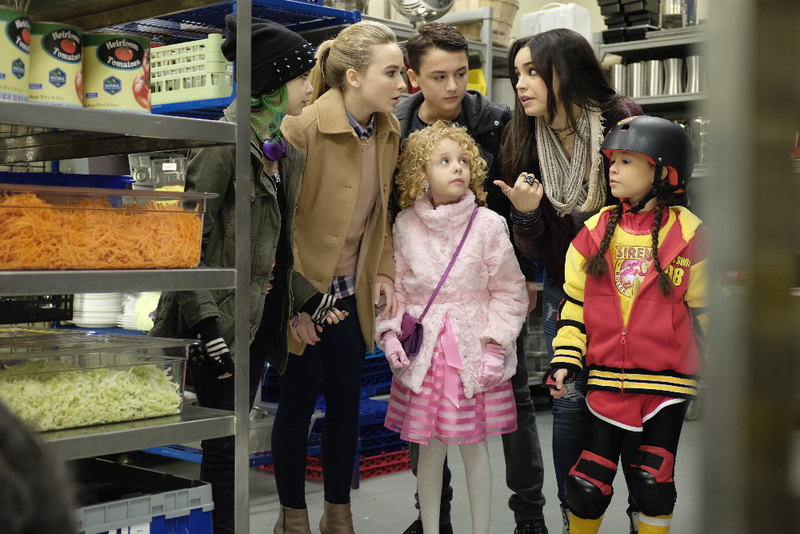 Adventures in Babysitting premieres on Friday, June 24 at 8:00pm ET on Disney Channel. Seriously, have you seen my childhood?! Check out the schedule of the DCOM marathon below (Eastern Time). 4:25am – Alley Cats Strike!